Q. What advice do you have for us humans? Do you mind if people hang a swing on you? What about “tree houses”? A. My dear S, the earth and all it inhabitants rejoice with the child swinging in the shade of a loving tree. We feel the joy, the wave-like rhythm of life, the peace and contentment that sings in the child’s energy! The world needs more tree swings! Are you not tempted to reclaim the easy freedom, the pure bliss of living in the eternal oneness of the moment as you did when you were small? Start swinging! Trees far and wide welcome all beings who come with respect and wish to bathe for a time in our energy, to climb, swing, share a hug, lean in, and even to build a house that is in harmony with our structure and exist in the ever present now that is life itself. We wish for you to know the love that we have for you, for you to know us as friends, allies, guardians. To know the rootedness and heavenly reach, the patience, the contentment we can teach if you will open your hearts to it. Come and be with us, whole-heartedly, and we will return the favor. 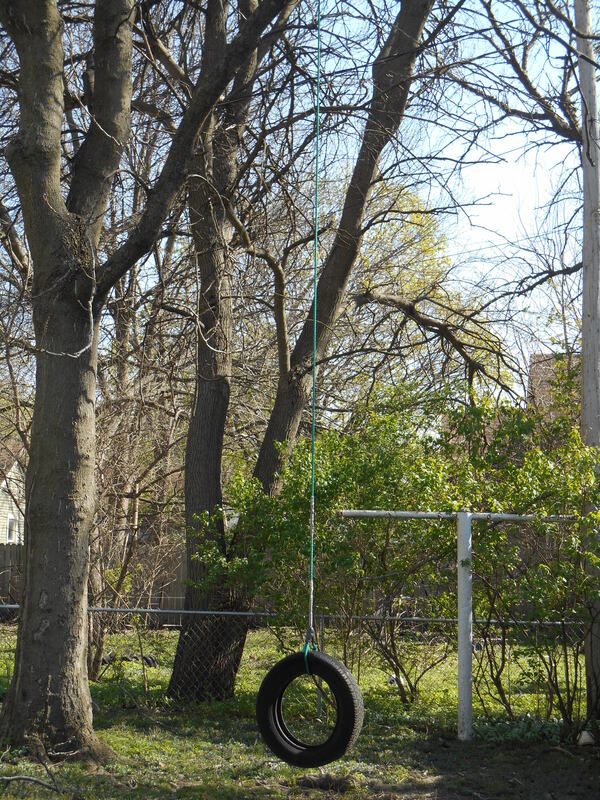 Grandmother Cottonwood’s prescription for pure joy: Install a tree swing. Invite a child. Take your turn as well.